The British-Chinese design office AT Design Office created a project of the floating island-city of Floating City, the possible construction of which is now seriously spoken in China. According to the architects, the city of 10 square kilometers will be located both on the surface and under water and will contain residential, commercial and entertainment infrastructure. 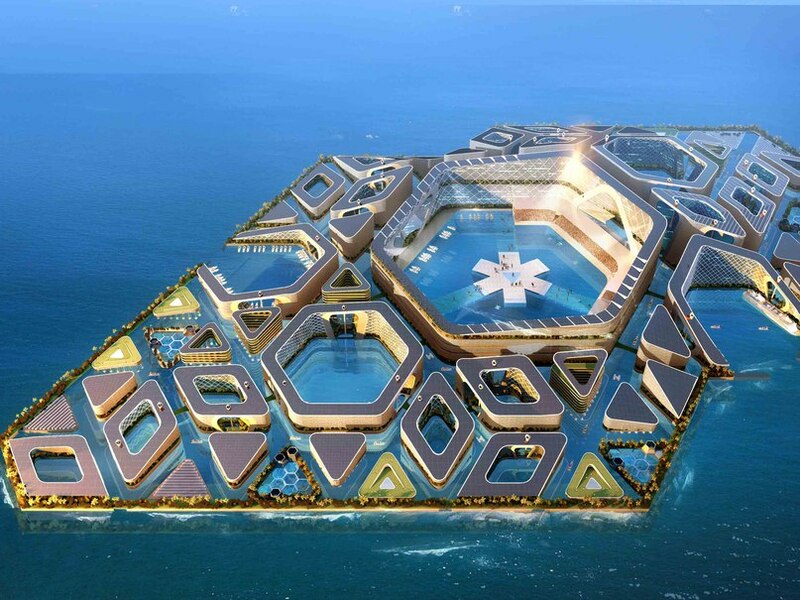 Floating City will be built right in the middle of the Pacific Ocean from hexagonal modules, which will be connected by submarine tunnels or ground sidewalks. The main means of transportation on the island will be yachts and submarines. The city is expected to have a large number of park areas and open pastures for animals above the surface of the water. 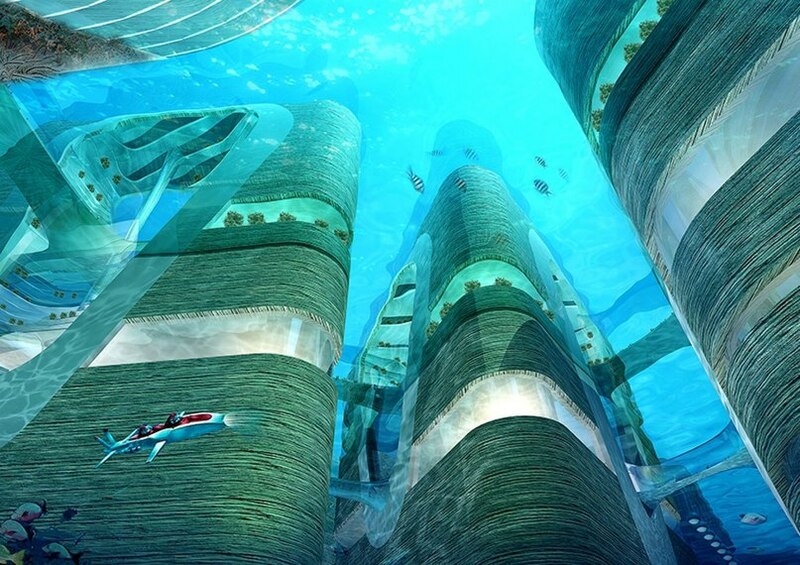 Under the water, centralized ventilation will be organized, which will cross the entire island in the middle. 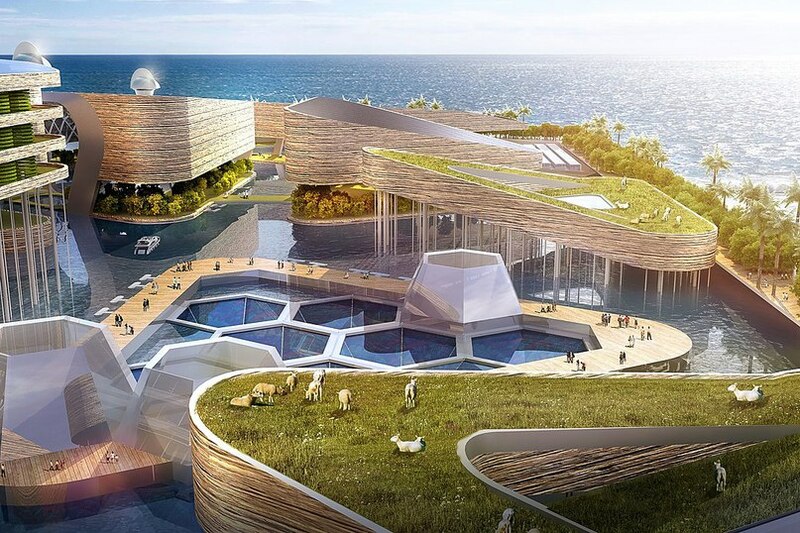 The creators of the project argue that the island will be able to comfortably accommodate private villas, administrative buildings, hotels, shops, restaurants, vertical gardens and public parks. In addition, for a city independent from the mainland, a large number of farms for animals are envisaged. AT Design Office reports that the whole project is realistic now: it uses the same technologies that successfully built the famous Hong Kong-Macau-Zhuhai bridge 50 kilometers long. Currently, the issue of construction is considered the largest developer of China - The China Communications Construction Company. The cost of the project is not voiced. 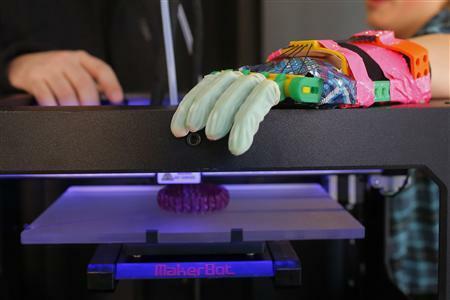 Employees of the Singapore Institute of Production Technology and the Singapore Center for 3D Printing created artificial leather on a 3D printer. While the development of scientists are far from perfect because of the absence of body pigmentation, sweat glands and hair follicles on the outer cover. This was reported by the site "World 24". For artificial skin, scientists used three types of cells: keratinocytes, melanocytes and fibroblasts. First of all, the specialists created hierarchical porous structures based on collagen-protein, which forms the basis of the connective tissue of the body. In the second stage, keratinocytes and melanocytes are applied over the material manufactured. Joint development of researchers from Singapore can be widely used in medicine and give impetus to the development of cellular biology. Asus company showed its novelty among the hybrid developments. Notebook TransBook Mini, if desired, can be turned into a tablet for easy and compact carrying. At the moment, the device manufacturers do not disclose to the end all the technical characteristics that this model will possess, as well as the date of its appearance on the market and the approximate price category. Developers of the TransBook Mini share only a few details about the touchscreen 10.1-inch display. It is specified that its use will be based not only on the usual touch of a finger, but also in the kit there will be a special stick for work. In addition, the novelty from Asus will receive support from Intel, which has developed a special chip processor for the hybrid: Atom x5-z8350. The difference of this system is 4 cores, graphics accelerators and DDR3L-RS 1600 controller. The device will work on the basis of Windows Home 10. Developers TransBook Mini from Asus among other advantages of the hybrid indicate the memory in 4GB, as well as a built-in eMMC module with a capacity of 64 GB. If desired, any of the users can also increase the memory capacity of the laptop-tablet using a microSD card. 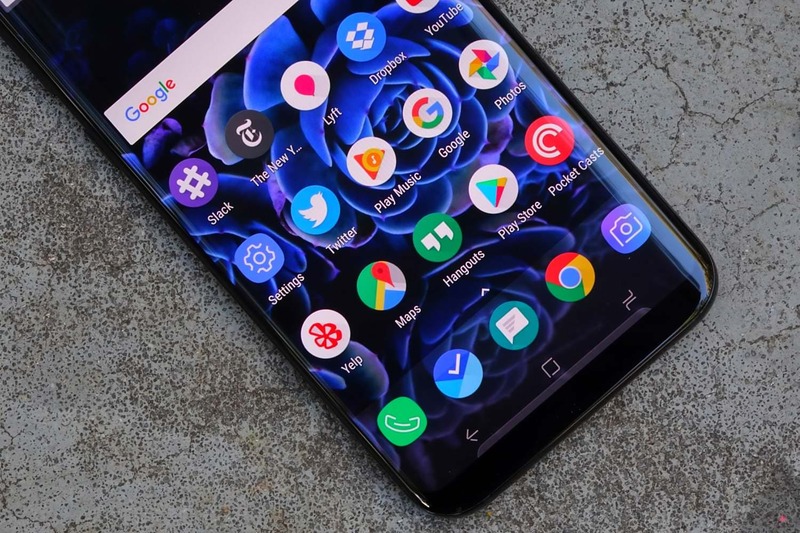 In recent years, Samsung in the creation of its new smartphones is betting not only on the most advanced in the industry technical equipment, but also on many other features, including software. Not only does it constantly improve the corporate graphics shell, sometimes exposing it to a complete redesign, so also work is carried out on new functions, many of which become exclusive for certain models of smartphones of its production.